The Sir Garfield Barwick Address is a lecture organised by the Legal Professional and Policy Branch of the NSW Liberal Party. 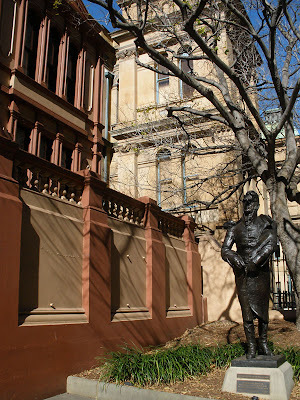 Intended to honour the former barrister, Liberal Attorney General, Minister for External Affairs, and Chief Justice of the High Court of Australia, it has been held at Sydney’s Castlereagh Hotel since 2010. Over the past four years, taxpapyers have helped underwrite the cost of George Brandis’ wide ranging tastes in newspapers, periodicals and books to the tune of over $12, 000, with several thousands of dollars potentially spent on subjects previously questioned by the Australian National Audit Office as “at risk of being outside the scope of the entitlement”.